– Delivery : Mar. 20. 2018. * Limited special face up(make up) for 2018(Golden Dog’s year). 2018 is Golden Dog’s year in Asia. 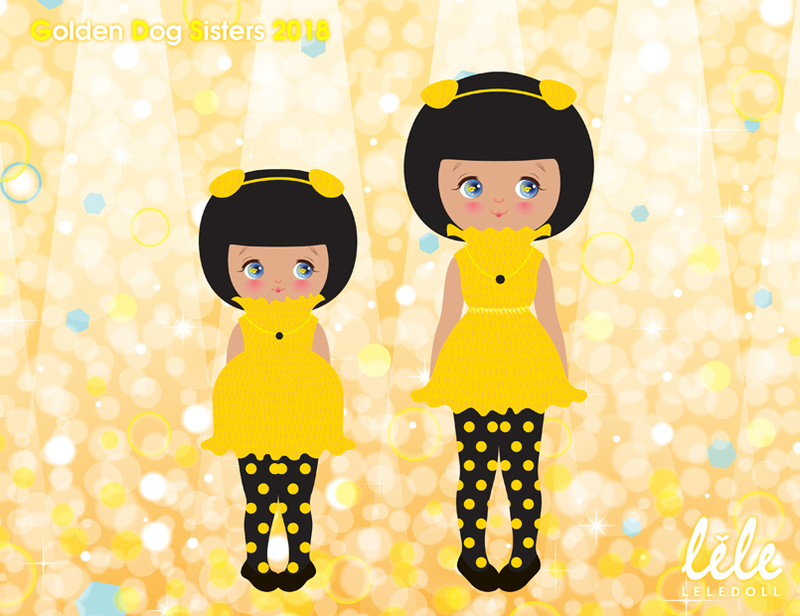 This limited “Golden Dog Sisters” tries to express cute golden dogs with Neobel and Ori. They have a tiny golden dog in blue eyes and they are wearing a yellow knitting clothing set. All face up and clothing are 100% handwork. Outfit is a charged option and it is including a wig, clothing set, necklace, shoes and a doll stand. Limited special face up(make up) – There is a tiny golden dog in blue eyes. It is 100% handwork and each face up is slightly different. – “Ori” is 16~17cm tall and it is pretty compatible with 16cm pocket size doll. However “Ori” has more slim boly line. – It is simple BJD(Ball-Jointed Doll). – “Ori” has painted eyes so you can paint it open or closed. – You can put leleDoll head accessories (upcoming more) on their head because there is a magnet on their head cap. – Middie Blythe shoes are pretty compatible. – This is a pre-order doll and it is impossible to cancel or change order after comfirming a payment. – All product is handwork and it could be slightly different. – If shipping problem happens, please contact to leledollshop@gmail.com for a customer service. – Any problem must be reported within 3 days since the package is arrived. 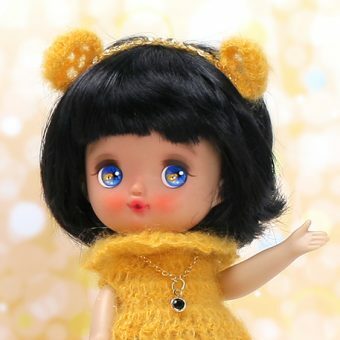 – A customed doll(face up, sanding or any kinds of change of doll)by customer can not be returned. – A color on webpage could be different from a real color depending on a monitor or PC setting. – All international shipments are shipped EMS service only. – Please remember that we do not have any resoponsibility on any accident from condition of delivery handling and the tariff. .